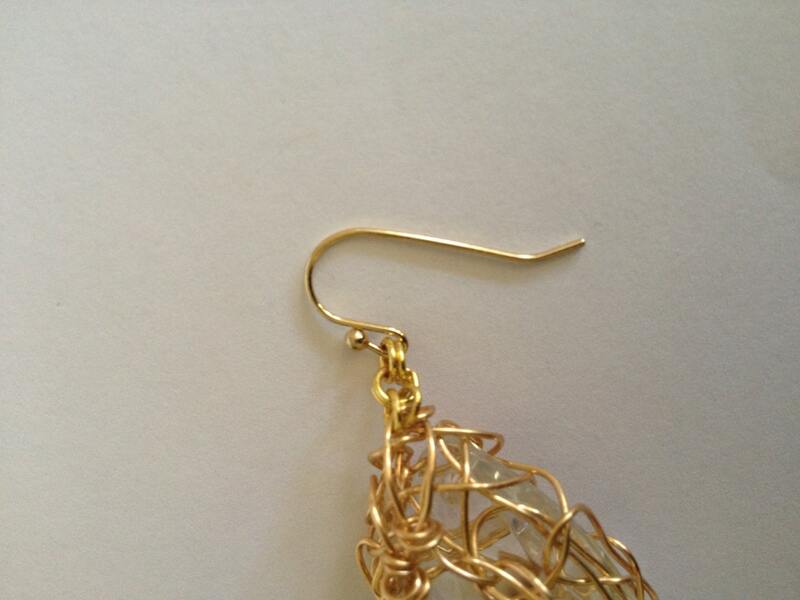 Stunning handmade gold plated wire crochet bracelet with recycled chandelier crystal. 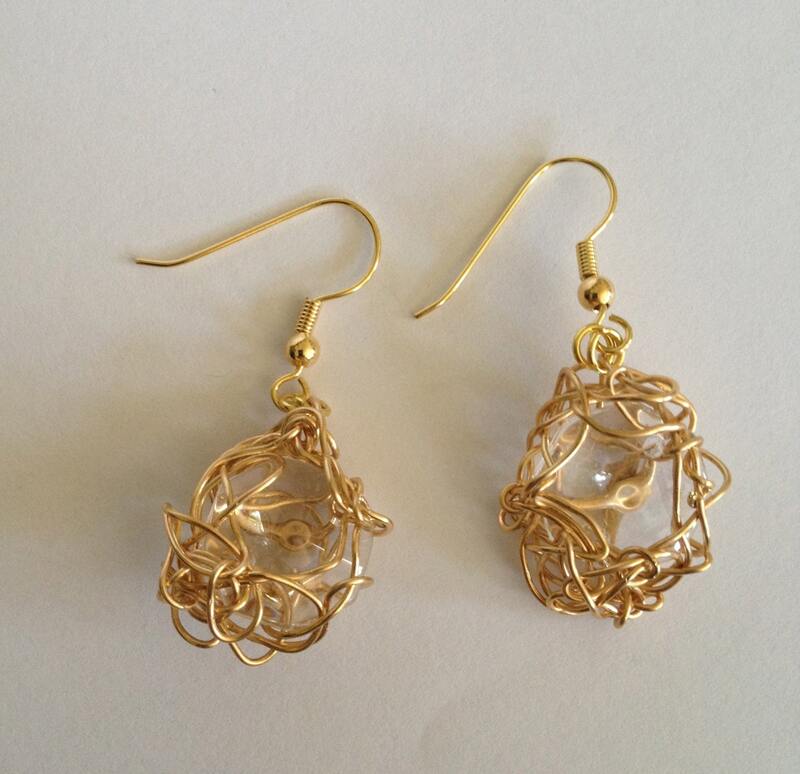 Materials: gold-plated wire, recycled chandelier crystal, gold-plated jump rings, gold-plated ear hooks. 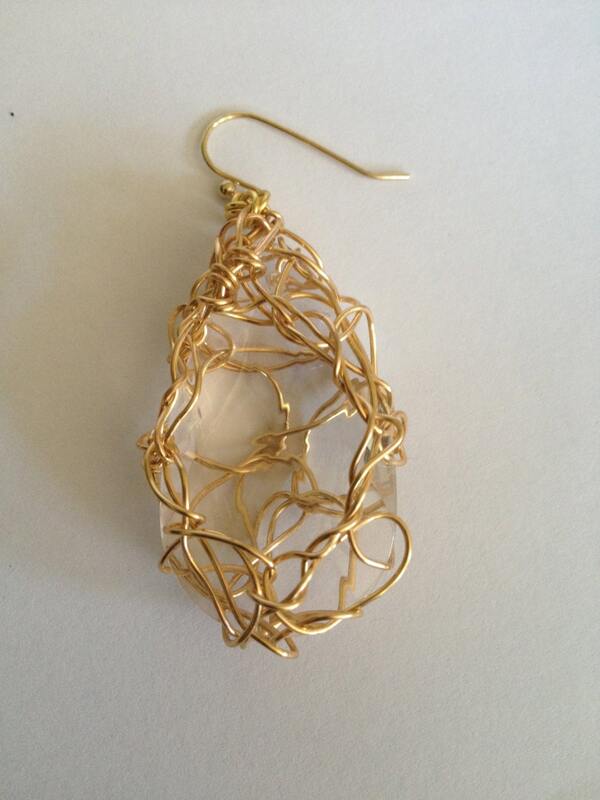 All pieces are made by me, Sanya, using different type of metal (gold-plated, silver, copper, brass, craft or artistic wire), in this specific design, I use the wire crochet support as a bezel to trap the recycled crystal pieces (or other type of cabochons). 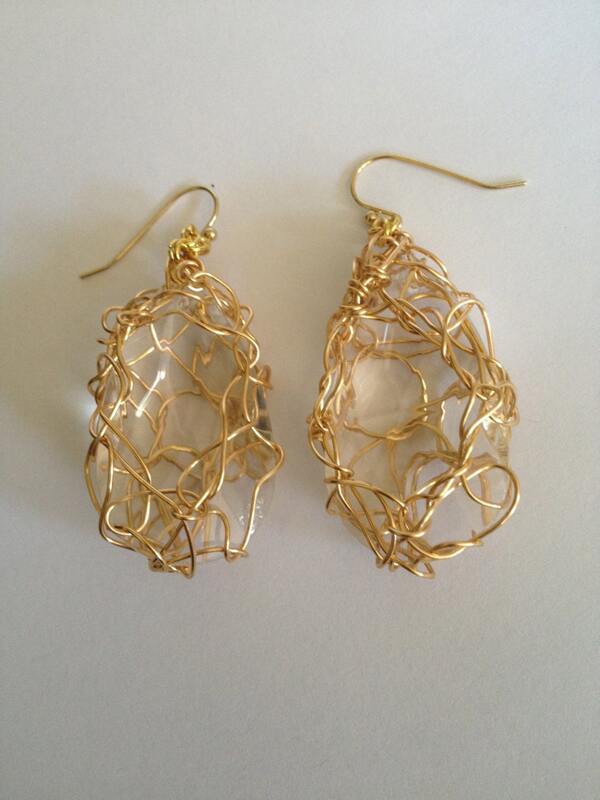 I then mount the piece to get either a necklace, earrings, bracelet or at times ring. Et voila!